I am slightly obsessed with painting fabric. I just feel so free that I am unlimited by color or pattern when I have paint laying around. 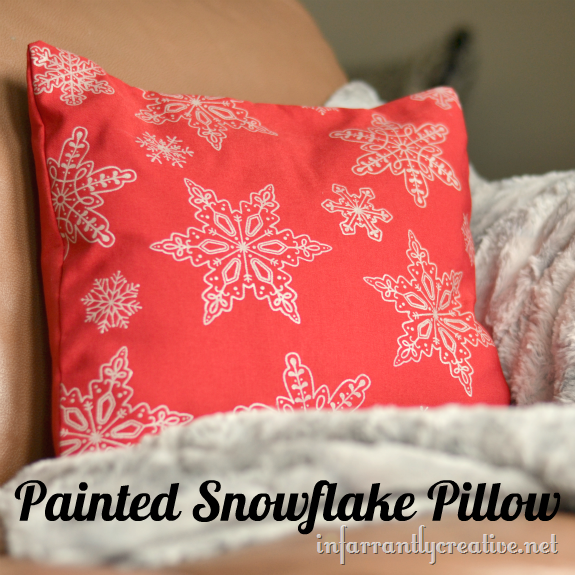 I also love screen printing and have made several screen printed pillows prior. I love snowflakes. I think they are so intricate, delicate and feminine. So why not make up a few and give them as gifts matching the Christmas décor of the recipient?